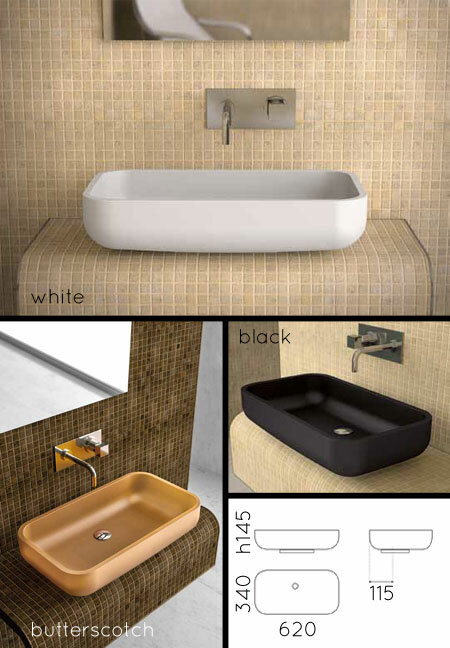 This Italian designer glass composite sink in made in translucent glass resin in three colour versions. A satin finished basin that shows simple contemporary bathroom design and is practical in both shape and size. All designer glass style basins are made to order please allow 3 to 4 weeks for the delivery. Sink includes the basin waste. * Feature counter top sink. * Soft curved rectangular sink.